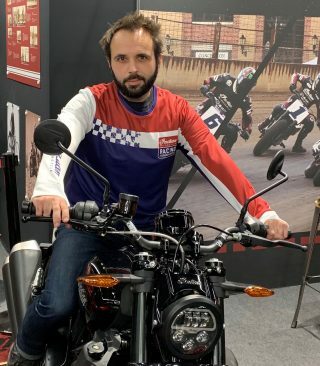 FRANCE (December 3rd, 2018) – Indian Motorcycle is delighted to reveal the lucky winner of its FTR 1200 prize draw, announcing Parisian, Cyril Casagrande, as the very happy winner and first ever European owner of the much anticipated FTR 1200. Opening for entries at the Wheels & Waves Festival in June, when Indian Motorcycle first confirmed its intent to bring the FTR 1200 to market, the prize draw attracted an unprecedented number of entries, showing the public’s strong interest in the FTR 1200. 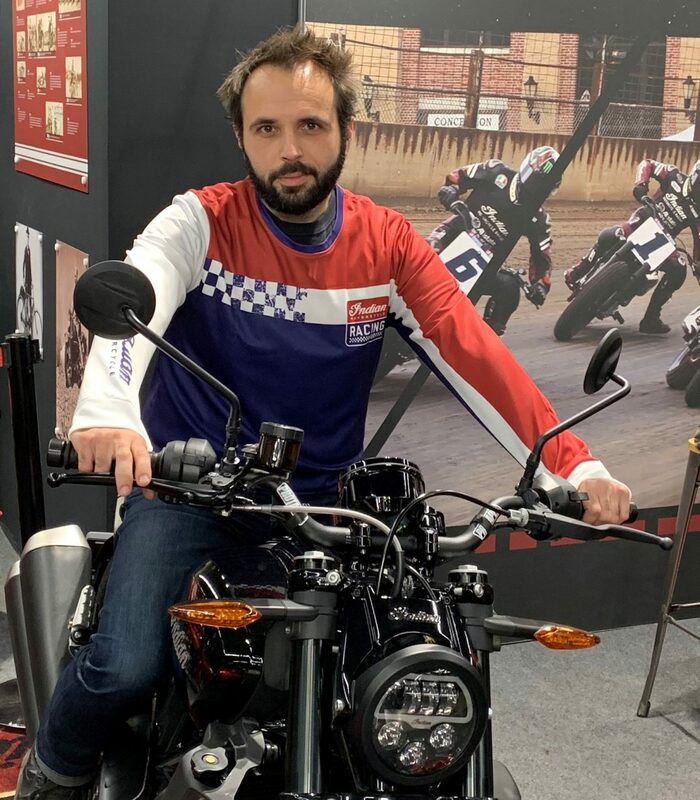 Selected at random from more than 67,000 entries across the region, Cyril is now looking forward to riding one of the very first FTR 1200 to roll off the production line. Indian Motorcycle met Cyril in Paris at the Salon Moto Legende to find out more about him and his motorcycling life. Q: Please tell us who you are? 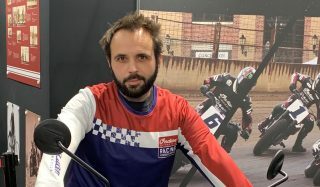 A: Cyril Casagrande, 35 years old, born in Marseille (south of France), artistic director and photographer in the motorsport industry. Q: Which city do you live and work? A: I live and work in Paris. Q: What is your job and what leisure activities do you enjoy? A: I started with advertisements, and being passionate about motorcycles and photography, I now mix my job with my passion. Q: What inspired you to become a motorcyclist and what are you riding at the moment? A: I started riding when I was 5 years old (dirt bike and motocross), so I’ve been riding bikes as long as I can remember. I have had my driving license since 2001. In my garage, I have an old Honda Dominator prepared for off-road, a Triumph Thruxton 900 with carburettor for the lifestyle feel and a Buell XB12S for the pleasure brought by the big 1200cc twin and the thrills it provides on small roads. A: I can’t live without motorcycles. I need my daily dose, whether it is for a small ride through Paris or a week’s road trip with friends. Clearly, it is the sensations! Q: What excites you about the FTR 1200? A: Everything! The flat track inspiration and of course the power. I can’t wait to be able to try it and feel all of this from the handlebars.